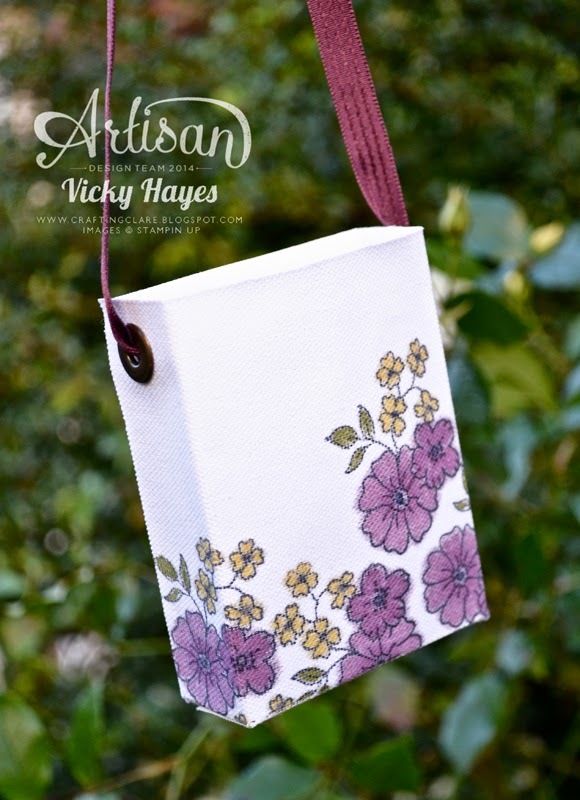 This time I stamped the canvas with a floral design using Memento black ink and coloured it in with Stampin' Up's fabulous blendabilities alcohol markers. I'm delighted with the way it turned out and yet again those fab markers have proved that they really deserve a place at the top of your Stampin' Up wish lists! The stamp set is a hostess set appropriately named I Like You - and I must say I certainly do! 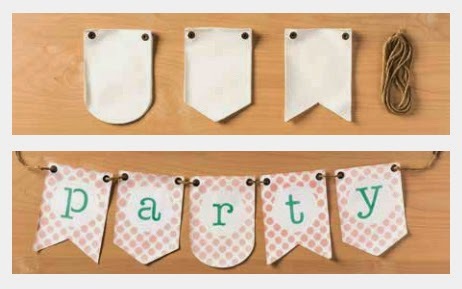 I love the way the eyelets on the flags form the perfect place to thread a handle through. I made this bag's handle with the gorgeous Blackberry Bliss stitched satin ribbon. BUY THE SUPPLIES TO MAKE TODAY'S CANVAS BAG NOW! So lovely Vicky.... Love the shading on the flowers. Hope your son feels better soon. What a fabulous and gorgeous bag, it's lovely. 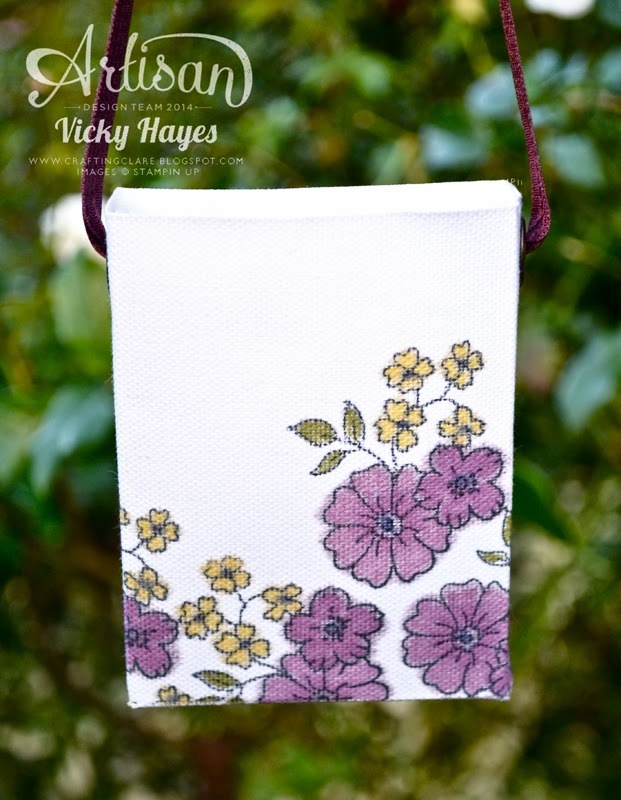 The flowers look amazing and I love the use of eyelets on the sides of the bag. Such a sweet little bag - I am happy to wait for the video - hope your little guy is feeling better soon!